Drawing on the Right Side of the Brain Workbook Penguin Putnam Inc. 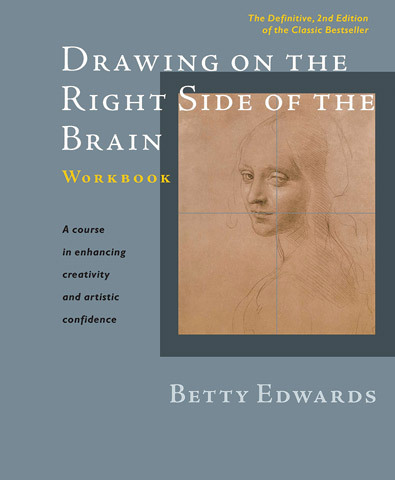 This essential companion to Dr. Betty Edwards' best-selling classic, Drawing on the Right Side of the Brain, offers readers the key to mastering this art form with guided practice in their newfound creative abilities. Here are 40 exercises that cover each of the five basic skills of drawing. Each practice session includes a brief explanation and instructional drawings, suggestions for materials, sample drawings, and blank pages for the reader's own drawings. Also provided in this spiral-bound workbook is a pullout viewfinder, a crucial tool for effective practice. This workbook gives readers experience in various subject matter-still life, landscape, imaginative drawing-using alternative mediums such as pen and ink, charcoal, and conté crayon.